The National Seminar on Living Well: Grounding Positive Psychology in Practice was held on January 20, 2014. 35 participants consisting of postgraduate students, research scholars, teaching faculty and practitioners took part in the seminar. The proceedings for the day began with the welcome address by Dr. Tony Sam George, Head of the Department of Psychology. He contextualized the seminar by introducing the participants to the different paradigms in psychology and the need for positive psychology. Following this, Dr. Anil Joseph Pinto, Registrar of Christ University emphasised on the available literature in the field as the starting point for psychological concepts. He also mentioned the multidisciplinary nature of Psychology and the need to strengthen it by introducing a spiritual component into the field. 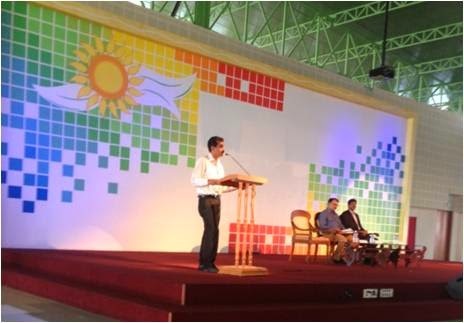 The keynote address was delivered by Dr. Navin Kumar, Associate Professor, University of Delhi. His talk centred around the influence of mass media on youth. As technology and media have far reaching consequences for daily living, he emphasised on the need for greater awareness, introspection, reflection and mindfulness so that they can be understood as positive as well as pathologizing agents. The panel discussion that followed was on the broad theme of Positive psychology in Clinical Practice. 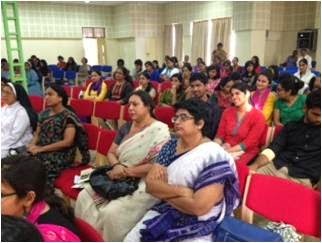 The panellists for this session were Dr. Lakshmi Sankaran ,Family counsellor, Chennai; Dr. Mohan Sunil Kumar, Clinical psychologist; Dr. Shailaja Shasthri, Head of Department of Psychology and Professor , Jain University and Ms. Padmavathy, NIMHANS Centre for Wellbeing. The essence of their presentations was on strength- based approaches to enhance one’s resources at the family level, to deal with life in general. Their sessions called for a more balanced perspective of mental health by focussing on concepts like optimism and hope. They advocated the need to enhance protective factors using the aspects of positive psychology and discouraged the disease model wherein an individual is treated for his or her ‘abnormality’. The next panel discussion was on the theme Positive psychology and Mental health. It was facilitated by Dr. Basavanna, Professor, Bangalore University; Dr. Navin Kumar, Mr.Ravi Ramamurthy, Ashwasan Centre for Spiritual healing, and Ms. Nisha Vidyasagar, Clinical psychologist, Bangalore. The focus was on the pioneering works of the eminent psychologist Seligman and other world leaders like Mahatma Gandhi and the poet Kabir whose life and teachings play a role in understanding positive psychology. The final speaker for the day was Dr. Hillary Brown, Cognitive Analytic Therapist, UK . She spoke on her experience of working with trauma victims. She focused her presentation around the concern - Is positive psychology positive? Along with providing a western perspective on the field she also debated on the usefulness of positive psychology. She spoke about the need for external attribution and mentioned that the solution to every problem does not exist within the individual . In such cases, positive psychology would be an inappropriate approach to help the individual. This perspective helped provide the critical perspective to the proceedings of the seminar. A poster presentation competition by postgraduate students and research scholars was also held as part of the programme. The broad theme was Positive Psychology in Practice. Overall the national seminar was an opportunity for both academicians and practitioners to share insights on the evolving branch of positive psychology and its importance and usefulness in our day to day life. The day ended with the valedictory ceremony and the announcement of the winners of the poster session. Prof. Mallika Krishnaswami , Dean of Humanities and Social Sciences, aptly summarised the proceedings of the seminar and appreciated the efforts of the Department of Psychology in continuing to contribute meaningfully to the academic culture of the University.